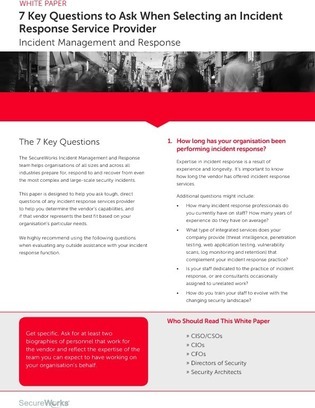 This white paper offers 7 key questions to ask when selecting an incident response service provider, to help you evaluate vendors based on your organization’s needs. How long has your organization been performing incident response? How many engagements does your organization perform each year?